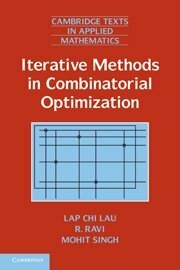 This book describes a simple and powerful method that is iterative in essence, and similarly useful in a variety of settings for exact and approximate optimization. The authors highlight the commonality and uses of this method to prove a variety of classical polyhedral results on matchings, trees, matroids, and flows. The presentation style is elementary enough to be accessible to anyone with exposure to basic linear algebra and graph theory.